In the modern world, people's lives becoming more and more intelligent. People is not only satisfied with current condition, more and more people are tend to make their life more modern. So more and more robots appear in our daily lives. Maybe at the beginning people make the small robots just for fun, but as time goes on, we realized that robots play an important roles in our lives. The simulate robot which imitate the people action like sport, dance etc. The smart dog which can monitor your home, clean the house and even play with you. The robot arm which use for the high precision production line. The industrial robot which use for the place where people cannot reach etc. As the robotics growing up, the servos are becoming more and more important as well. No matter how small or large size, that will be one place for the servo in the device, which use for control the moving direction. Servos are not limited for the RC Cars, Aircrafts, Helicopters, Boats, even at the beginning servo mainly used for these fields. But people find wider application with the servos. 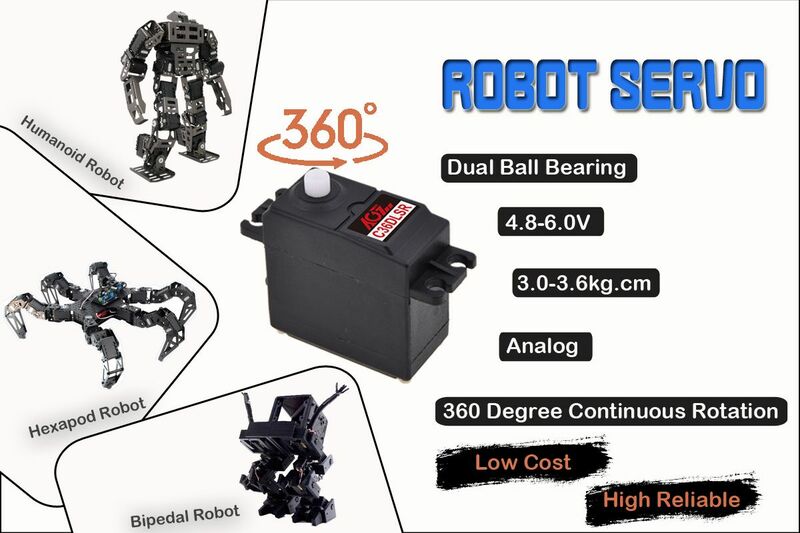 The robot servos comes with different setup, but almost all the servos can be programmable now, so if you find a servo manufacturer/factory, then you find your servo too. As they can custom the servo as required not matter size, torque, speed, voltage, color etc. So if you have any projects not matter for Robotics or RC Models etc., you can contact with us. We are the servo manufacturer with around 10 years experiences, which also custom servos for many companies. Some stock products, you may already check from our website. More servos will coming soon. Pls remember the servos are not only the ones showed in the website, welcome to ODM and OEM.